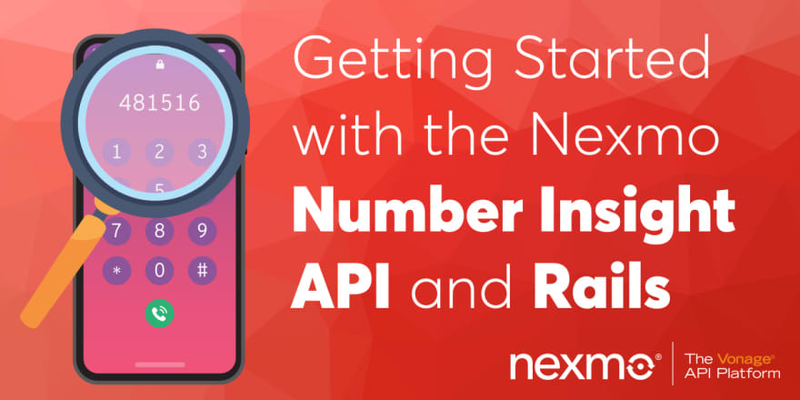 The Nexmo Number Insight API provides you with the ability to quickly check in real time the validity, reachability, roaming status, and more about any phone number globally. Basic: Returns the local and international formatting for the number, country code, country name, and country prefix. Standard: Returns all of the same as Basic, along with current and original cell carrier, whether the number was ported, and whether it is roaming. Advanced: Returns all the same as Standard, along with whether the number is reachable and if it is a valid number or not. In addition, you can also make the Advanced request asynchronously. In order to make an asynchronous Advanced request, you need to supply a callback URL. We are going to walk through creating a Rails application that facilitates looking up basic, standard and advanced number insights on any phone number utilizing the Number Insight API. In addition to following along in this blog post, you can also clone a working copy from GitHub. We will explore using the Advanced Asynchronous Number Insight API in a separate blog post. A Nexmo Account. It's free to sign up and you are granted complimentary credits to begin exploring right away. With the above command, we have created a new Rails application called number-insights-app and designated PostgreSQL as our database of choice. You can change the name of the application to whatever you choose and, also replace the database parameter with your preferred database if you would like to use something other than PostgreSQL. Once you have saved the Gemfile, go ahead and run bundle install from your command line. This will install the Nexmo Ruby gem and the dotenv gem into your application. The Nexmo gem provides easy access to the suite of Nexmo APIs and the dotenv gem allows you to securely store environment variables without revealing them in your version control. At this point, you can also run rake db:migrate. This will set up the database schema for your application. For the purpose of this walkthrough, we are not going to persist the data we receive, but you are welcome to do so. Our next step is to create our Controller methods and our Routes. Therefore, we are going to need the following Controller actions: index, show, and create. The index action will be the top-level page for our application that will have the HTML form. The show action will present the data after the API request has been made. The create action will submit the data to the Nexmo Number Insight API. Additionally, we are going to create two private methods: nexmo and insight_type. The former will instantiate an instance of the Nexmo client, and the latter will be where we process the HTML form and decide what kind of Number Insight request to make. flash[:failure] = "Please try to submit the form again, something went wrong." The #insight_type method, as shown above, takes one argument, which is the HTML form params and then runs through an if/else statement checking for the type of request selected. If the type does not match one of the defined types (e.g. basic, standard, or advanced) then a message is shared with the user that something went wrong and they are redirected to the index view. Lastly. the data returned from the API request is converted into a key:value hash form for easier handling in the view. At this point, we need to define the routes for our application. In order for our application to communicate with the Nexmo Number Insight API, we need to provide it with the proper credentials. We will do that next. To obtain your Nexmo API key and API secret, navigate to the Nexmo Dashboard and once you log in you will see your credentials near the top of the page. All you need to do is click on the eye icon to reveal the API secret. You can also click on the copy icon of each item to automatically copy them to the clipboard. You are going to want to take advantage of the functionality of the dotenv gem you installed earlier, so create a file called .env in the root folder of your project. This is where we will store our Nexmo API credentials. Also, it is a good idea to add .env to a .gitignore file, if you have not done so already, to ensure that it is not committed to your version control history. At this point, the only thing left to do is to create our views and then our application is ready to use. We need two views and we also need to add a space in the application layout for the flash error message that we defined earlier in case the user provided an invalid type input in the HTML form. Let's add the space for the error message first. Now, if there is an error message during the processing of the form data, the user will see it at the top of the page. The index view contains the HTML form where the user submits the phone number they are looking for number insights on and the type of insight they are requesting. We take advantage of Rails view helpers to create an HTML form that submits a POST request to /number_insights/new and contains one text field, three radio buttons, and a submit button. Within the show view we are creating an HTML table that will dynamically populate its header row and data rows with the data returned from our API request. In this way, we do not need to hardcode a table for each type of API request, but rather we will let the application do that work for us. If you recall, we converted the data returned from our API request to a key:value hash format and saved it to the @data instance variable. We will use the keys for the header row and the values for the data rows. An important item to call attention to is that some of the data items returned in the standard and advanced API requests contain a hash of hashes, and thus we need to make a second level of iteration over those nested hashes to retrieve the data inside of them. That is what is happening beginning with the <% if value.class == Nexmo::Entity %> condition check below. We have now finished creating our application. Go ahead and try it with different phone numbers and with different Nexmo Number Insight API request types. You can start your application from the command line with rails -s and navigate in your web browser to http://localhost:3000/number_insights. Congratulations! Rabbi turned Coder. Second Career Dev taking it one function at a time. The cloud communications platform with APIs for Messaging, Voice, Video &amp; Verification. 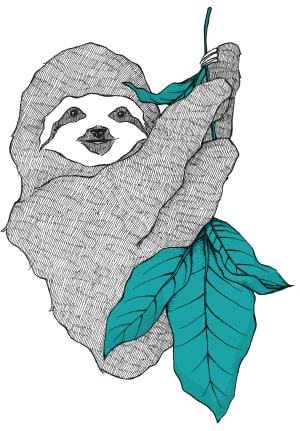 Libs for Node, Python, PHP and more. Add notifications, group calls and chat into your project. We're excited to announce our new initiative.